Cixin milkfish dried fish floss packing biggest characteristic, open the box, the outer packing is hollow-out part with the inner packing form flashing effect, the inner packing dried fish floss in different colors to distinguish the taste. 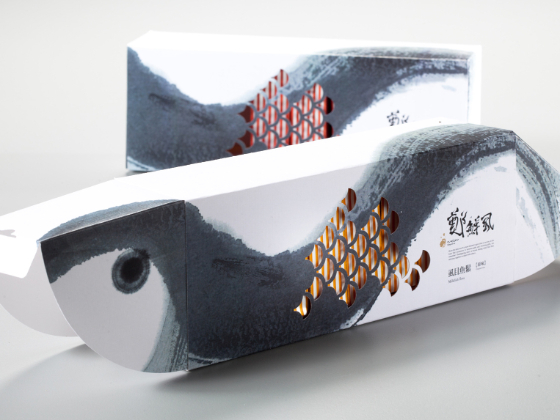 Open the box, exposing fish head and tail, and found that when I want to share with people. 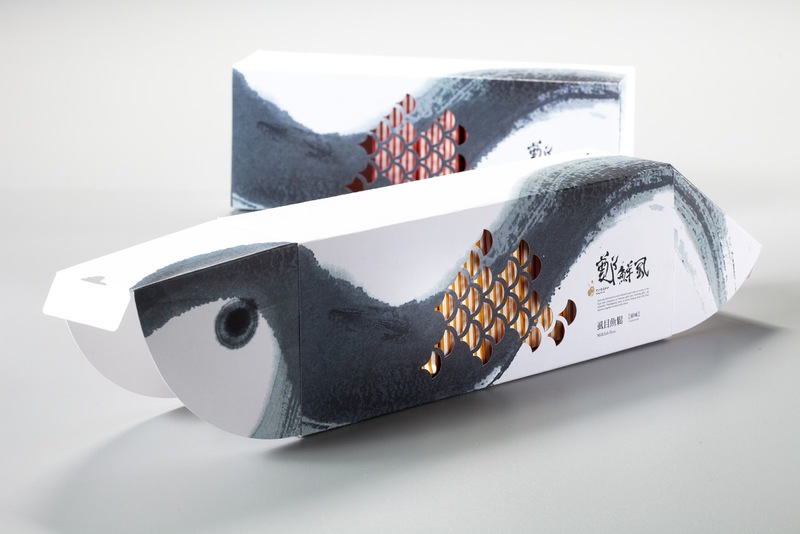 2Packaging design of milk fish used traditional Chinese ink and wash, the color with the silver of milk fish itself. 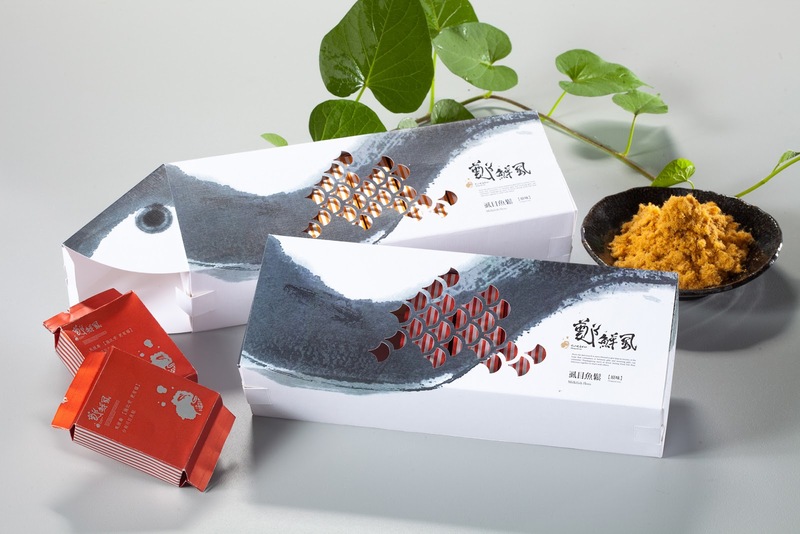 The outer packing special structure in open box shows the fish head and tail, the feeling of being found that in time to share with people. 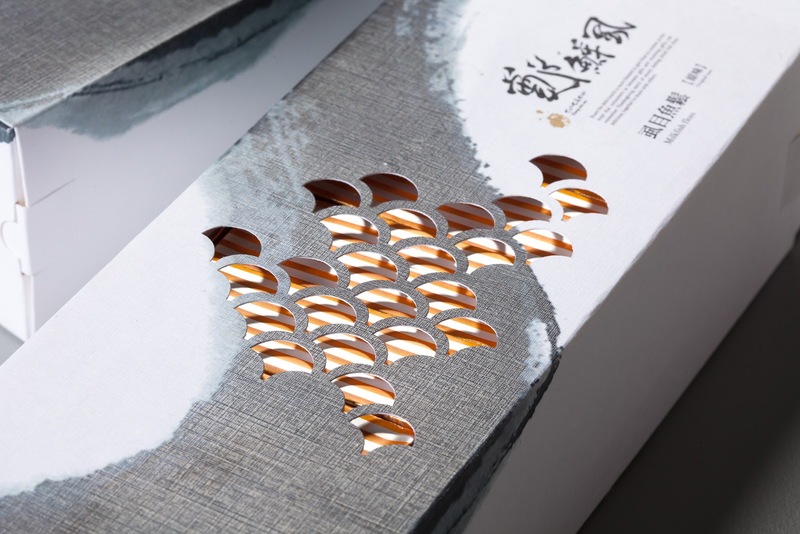 When the packaging is pulled out, the inner packaging graphic design with the outer packing are hollow-out the scales made from cut out shapes, forming a flashing effect in the "scales".